Probiotics are microorganisms, such as live bacteria and yeasts, that offer health benefits to your body especially, to the digestive system. The human body is full of both good and bad bacteria. Probiotics are considered the “good” and “helpful” bacteria in the body because it keeps the gut healthy by regulating digestion and intestinal function. The best probiotic supplements are available in drugstores, malls, and some clinics but you will most likely find them online. You’ll just have to figure out what kind of probiotics you need, depending on what you want to cure or boost in your body. You can also find the best probiotics for women online. And for health purposes, it is always best to ask your health care provider for recommendations. Or better yet, consult your doctor first before trying out probiotics. 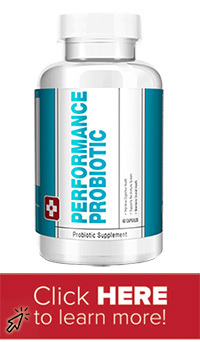 Performance Probiotic is a quality-product that gives the best probiotic strains to improve digestive health. It will naturally improve your digestion and help maintain your digestive balance. Bauer Nutrition is guaranteed to use natural ingredients that are extracted from non-GMO sources. 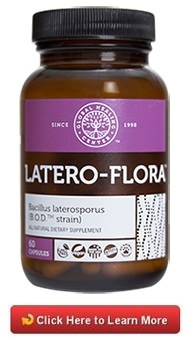 Latero-Flora is one of the best and top rated probiotic brands on the market today. Research studies prove that probiotics help in fighting infections and diseases by boosting your immune system. It is a highly effective probiotic supplement that helps in keeping your colon healthy by populating the intestines with good bacteria called Bacillus laterosporus. Latero-Flora promotes intestinal balance, supports your immune system, helps in digestion, and helps in keeping constipation away. This supplement has received a lot of good feedback from its users and praises from notable experts. In addition to that, it is guaranteed to be free of gluten, dairy, and animal material. This supplement is available through health professionals. More and more researches are showing that digestive health supplements are proven to be more effective and important to your health than daily multi-vitamins. 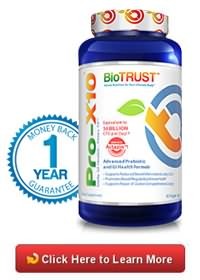 Pro-X10™ promises to deliver up to 10 times more healthy bacteria to your digestive system than other traditional probiotic products in the market today. It is gluten-free, contains no artificial additives, preservatives, flavors, and colors. It contains Actazin™, an extremely powerful probiotic nutrient. It also contains three additional probiotic strains that are usually not included in typical and traditional probiotic products. These probiotic strains are: Bacillus subtilis (soothes GI irritation), Saccharomyces boulardii (supports the immune system especially during high levels of stress) and lactobacillus salivarius (supports your oral health and hygiene). It is highly recommended to take 2 capsules of this supplement daily for best results. Another good thing about this supplement is the fact that it is allergen-free so there shouldn’t be any concern regarding allergies. Ablene is a highly effective digestive remedy especially to those who are suffering from diarrhea, abdominal pain, bloating, fatigue, bloody stools, and loss of appetite. Ablene does a good job in replenishing key nutrients as well as in controlling the body’s inflammatory response through its traditional contents such as herbs, amino acids like L-Glutamine, key vitamins and minerals. It naturally resupplies the body with the essential nutrients that your digestive system needs, especially if they are lacking in your diet. This supplement aims to improve digestive health by gradually reducing symptoms of diarrhea, gas, bloating, and fatigue by controlling the body’s natural inflammatory response. Probiotics have a lot of benefits to the body especially to your immune system and digestive health. It keeps your digestive system healthy, making it more efficient by stimulating the digestive process. The human body is known to have more than 1,000 different kinds of bacteria living in the digestive tract. Those bacteria help the digestive system in breaking down food as well as absorb nutrients. Probiotics are designed to kill the bad and illness-causing bacteria in our digestive system in order to keep our tummy healthy. Supplements for digestion promote regular bowel movements and prevent diarrhea. Research studies have shown that probiotics can greatly help people who are suffering from irritable bowel syndrome and other intestinal symptoms such as constipation, bloating, and diarrhea. According to some researches, probiotics have been proven to help people who are suffering from urinary tract infections. It is evident that regular probiotics help in preventing bad bacteria from growing in the urinary tract by keeping a population of healthy bacteria that will fight them off. One of the main functions of probiotics is to improve our body’s immune response. This is because there is actually a close connection between the bacteria in your digestive system, particularly the colon, and the immune system. With that said, taking probiotics has been linked to improve your immune responses. Research studies suggest that high quality probiotics can also help people shred those extra pounds, especially those who have already received a weight loss surgery. 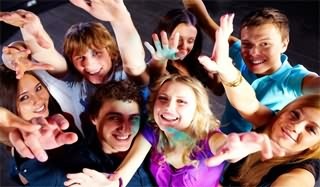 Probiotics will definitely help them maintain their healthy body figure. It is proven to have helped reduce waist circumference in women who were trying to lose abdominal fat. If side effects of probiotics occur, they usually tend to be mild and digestive i.e. gas or bloating. Theoretically, some probiotics might cause infections that are needed to be treated with antibiotics, especially if the person has an underlying health condition. They could also cause too much stimulation in rare cases. It is always best to consult your doctor or any health professional first before thinking about taking probiotics supplements especially if using probiotics for children.